How do we inspire the best and the brightest (BB) to become educators? Publicado en 16/06/2016 por Eduardo Andere M.
By Eduardo Andere M. PhD. Teachers from around the world, including those from the US, in public or private schools, think that the advantages of being a teacher clearly outweigh the disadvantages, that if they could decide again they would still choose to work as teachers, that they wouldn’t like to change to another school if that were possible, that they don’t regret that they decided to become teachers, that they enjoy working in the school they are currently working, that they don’t think they would have been better had they decided to choose another profession, that they would recommend their current school as a good place to work, that they are satisfied with the performance in their schools, and that all in all they are satisfied with their job. The only negative thing they agree with is that the teaching profession is not valued in their society. As difficult as it is to measure this latter “cultural” variable, it is extremely important to the core of the question: How to inspire the BB to become educators? If society in general does not value the teaching profession, then the teaching profession will always be a second-class profession, after lawyers, medical doctors, economists, scientists, MBAs, computer engineers, etc. Few teachers from around the world think that their profession is valued by society. The average for the OECD’s study is 30.9 percent, the U.S. average is 33.7 percent and the Finnish average is 58.6 percent. Finland is widely recognized as the world’s benchmark for pre-K to 12-education system. The teaching profession in Finland is highly popular and highly appreciated; teachers’ colleges in Finland attract the BB and teaching is never a second-class profession. Salaries in Finland are far from being the highest; teachers in Luxemburg, Korea, Germany, Canada, and the U.S. are the highest-paid in the world. Professor Simola from the University of Helsinki has an interesting theory about how to measure society’s appreciation of any profession; is no by perceptions or salaries. Instead, according to Professor Hannu Simola, a profession is highly appreciated if the children of the social and education elites choose to become teachers. It took Finland around 100 years to get teachers as a group to a high social and cultural status. There is an alternative “theory” from a lower secondary teacher in Finland when he answered to my question “why did you become a teacher?” “It is the package”—he said. The package is: a good-enough salary, nice collegial and highly-educated climate in the school, enough time to spend with the family, nice team-work environment, nice fringe benefits like social security and access to cultural opportunities, time for leisure and cultural activities, and two and a half more reasons: June, July and half of August vacation. Andere, E. (2015). Are teachers crucial for academic achievement? Finland educational success in a comparative perspective. Education Policy Analysis Archives, 23(39). 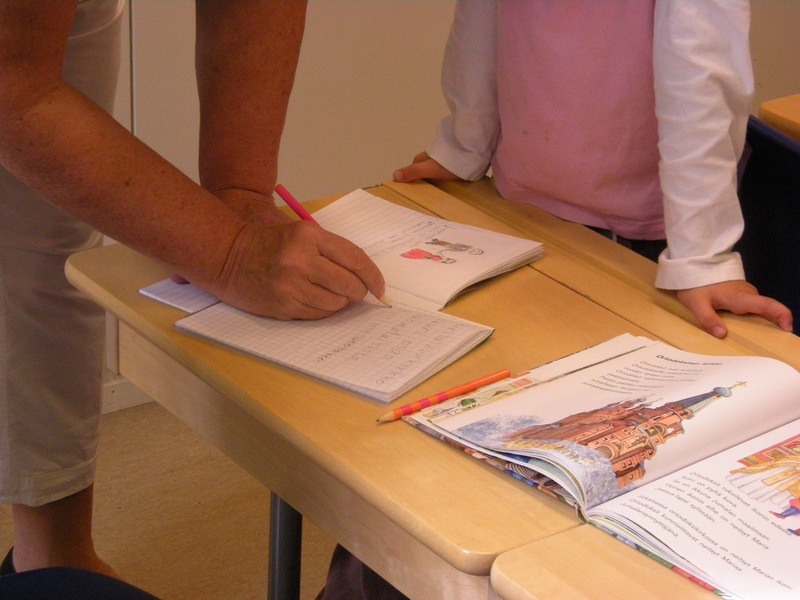 Teachers’ perspectives on Finnish school education: Creating learning environments. 2014. Springer: Bern, Switzerland. OECD (2015), Education at a Glance 2015: OECD Indicators, OECD Publishing. http://dx.doi.org/101887/eag-2015-en. pp. 440-441. Simola, H. (2005). The Finnish miracle of PISA: historical and sociological remarks on teaching and teacher education. Comparative Education, 4 (41), 455-470. See also, Andere, E. (2014). Teachers’ perspectives on Finnish school education: Creating learning enviroments. Switzerland: Springer. Esta entrada fue publicada en Educación en el mundo, English posts por Eduardo Andere M.. Guarda el enlace permanente. Reblogueó esto en Educación y Neurodesarrollo.